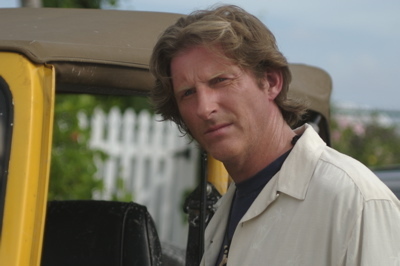 ADRIAN DUNBAR – “HAWK” Adrian Dunbar is a Northern Irish actor best known for his appearances in such notable films as My Left Foot, The Crying Game, and The General. He has also had leading roles in the films Triggermen, Shooters, How Harry Became A Tree, Richard III, and Widows’ Peak. Dunbar also co-wrote and starred in the 1991 film, Hear My Song, which was nominated for Best Original Screenplay at the BAFTA awards.Dunbar was born and brought up in Enniskillen, County Fermanagh, Northern Ireland, the eldest of seven siblings. He was educated by the Irish Christian Brothers before attending the Guildhall School of Music and Drama in London.On television, he starred in the first episode of “Cracker”, and has been in many British TV productions, including “Tough Love”, “Inspector Morse”, “Kidnapped”, “Murphy’s Law” and “Murder in Mind”. Highlights of Dunbar’s theatre credits include “The Shaughraun” and “Exiles” at Dublin’s Abbey Theatre, “Real Dreams” and “The Danton Affair” at the Royal Shakespeare Company; “King Lear”, “Pope’s Wedding”, “Saved” and “Up To The Sun And Down To The Centre” at the Royal Court Theatre, “Conversations on a Homecoming” at the Lyric Theatre in Belfast, and “A Trinity of Two” (as Oscar Wilde) at Dublin’s Liberty Hall Theatre. He also played the role of Aufidius in the BBC Radio production of “Coriolanus”.Dunbar recently directed a critically-acclaimed stage production of “Philadelphia Here I Come!” and is prepping the long-awaited screen adaptation of Connolly, about Irish labor union organizer James Connolly as seen through the eyes of his daughter, Nora.Dunbar has a daughter and stepson from his 1986 marriage to the Australian actress Anna Nygh. ~ by Michael Sellers on July 9, 2007.